Queens native and designer to the stars LaQuan Smith captivates with tailored looks in rich wools, thigh-high slits, and pops of neon facing for his Fall 2015 collection presented at Drift Studio during New York Fashion Week. This was my first time attending a show at the coveted event. Thanks to the awesome work of Blogger Babes co-founders Heidi Nazarudin and Ponn Sabra, I received a press pass to attend the presentation. On a very cold and blustery day, I made the trek into the city to get my first taste at covering a NYFW show. To say I was ecstatic to attend would be an understatement. I try not to expect too much from a designer’s collection when it arrives for the new season, as a way to keep my mind open to embracing different and sometimes unusual styles. After a brief chat with the designer (one of the friendliest people I’ve ever met), the inspiration for the collection was clear: to create looks that were fun and didn’t require a perfect body for which to wear because each outfit creates the illusion of the perfect body. There was one dress that immediately caught my attention as soon as I arrived. It was this festive mix of neon, blue and black. Can fall get here already? I need this dress in my life ASAP! 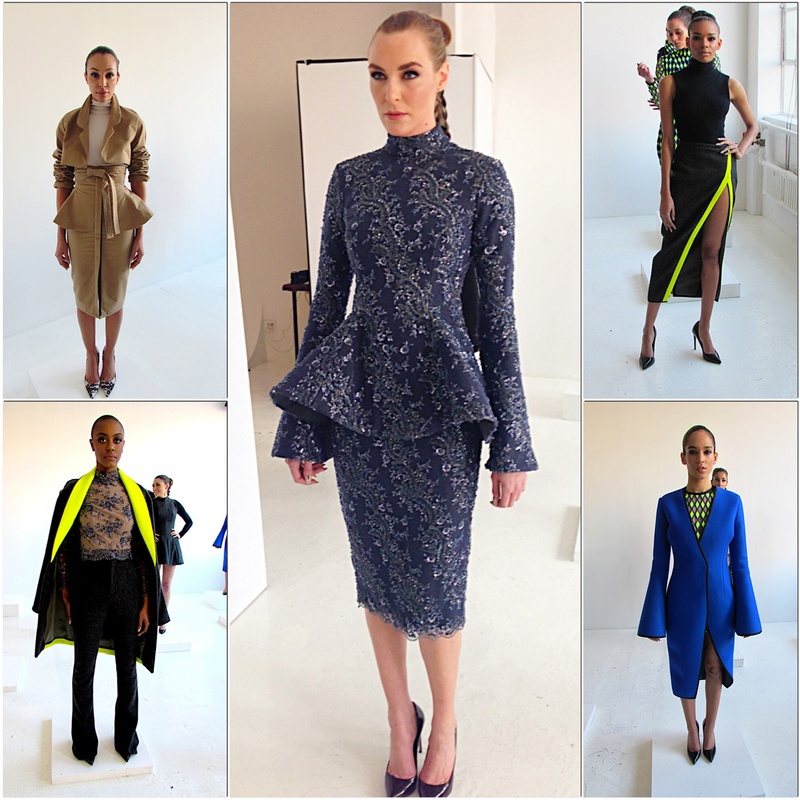 Here are a few other show stopping pieces that rounded-out the top looks from LaQuan Smth’s Fall collection. Share your thoughts. What are your favorites? This entry was posted in Style Talk and tagged Fall 2015 Trends, Fall Fashion, fashion show, LaQuan Smith, New York Fashion Week. Bookmark the permalink. The second picture is my favorite. That is a gorgeous look. One of my favorites as well. I think that hot pink trim on the coat and the shoes give the entire look a bit of edge but it’s subtle. Neon can be a little too loud if overdone but not here.